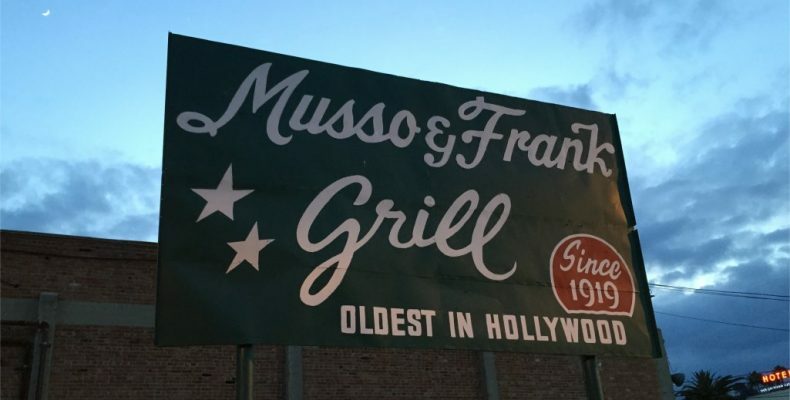 Last month on a trip to Los Angeles I returned to The Musso & Frank Grill. It’s a Hollywood institution, in business since the days of Charlie Chaplin and over the years a prime spot to see celebrities dining out. In May 2015 I learned about the restaurant’s ups and downs when I did the 75th dinner interview with its proprietor Mark Echeverria. He shared the story of the venue’s founding, and was honest in discussing a period when the quality of food slipped. But Mark is determined to restore Musso’s reputation and the place has enjoyed several recent years of positive reviews. Ever since the interview I’ve wanted to have another dinner there. In January, I took two friends who’d never been before and after they said it was their favorite meal of the trip to LA. 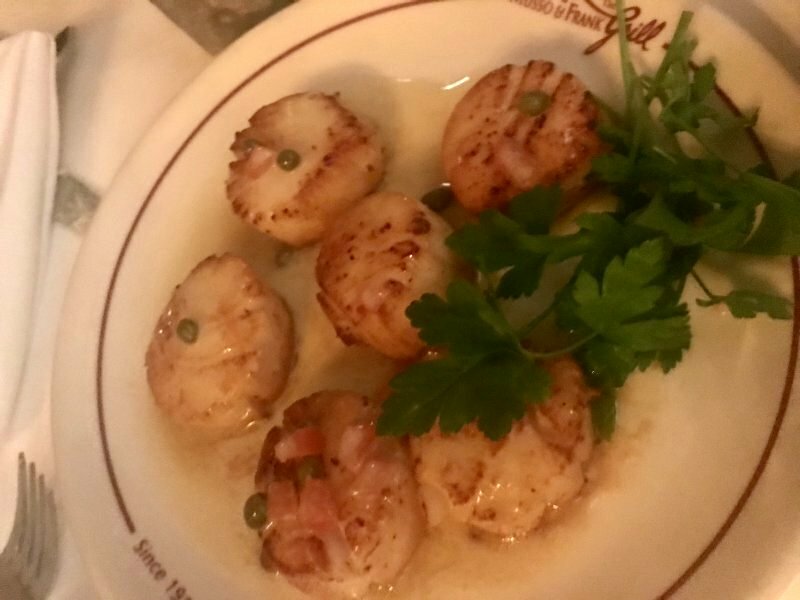 We enjoyed some great dishes, starting with a generous platter of scallops (I apologize for the picture quality, we had to use a backup phone). 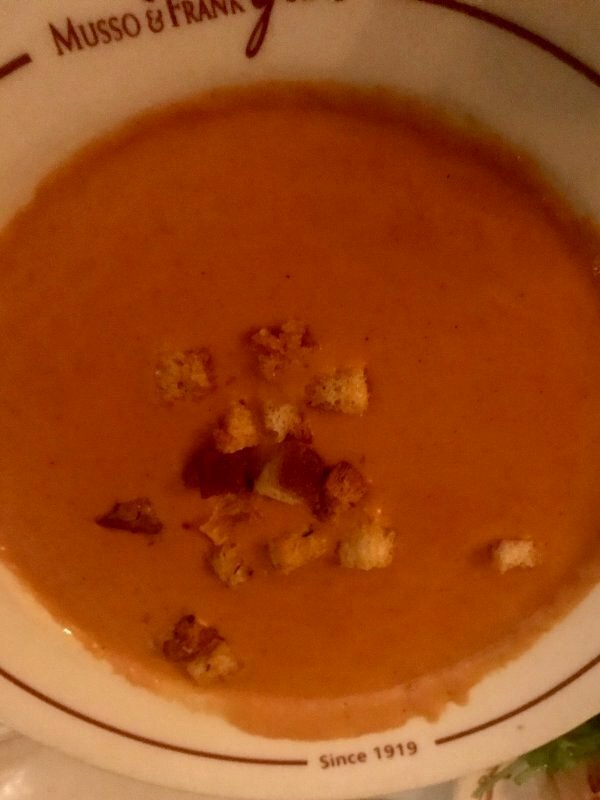 We also all had some of the thick, creamy and irresistible cream of tomato soup. This is so good, and the bowl serving so generous, I could easily have enjoyed this for my main course. Instead, I had the boneless garlic half chicken served with mashed potato. It’s not the most glamorous food photo you’ll ever see, but this was the standout dish of the night. Perfectly cooked chicken in a rich sauce, served with clumps of garlic that added a powerful release of flavor with every bite. These were just some of the items we tried, but all received our praise. 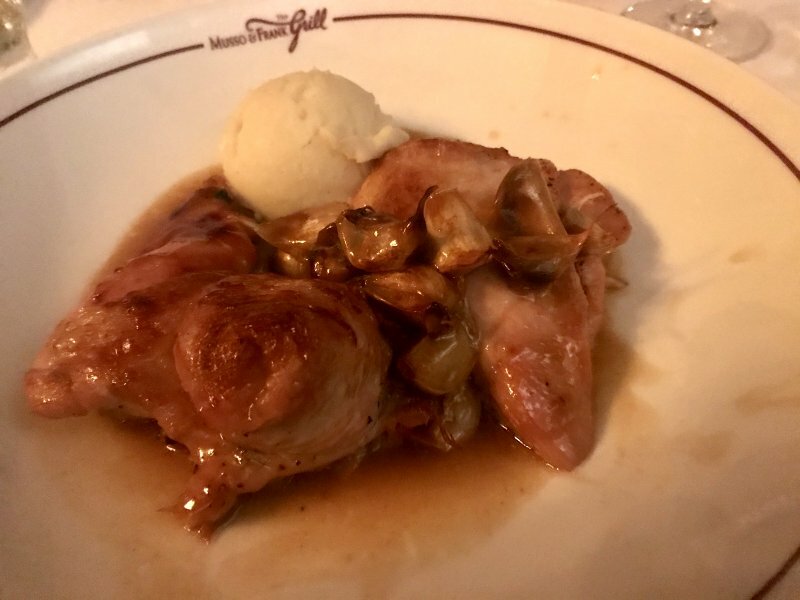 Musso’s isn’t cheap, but if you’re looking for a historic place with an ever-improving menu, it’s a great choice for an upscale night out. And it’s more affordable, and with much bigger portions, than some other upscale dining options.